I recently heard something similar to this quote, “Love should always triumph over manipulation,” on a television show and it spoke to me. Unfortunately, manipulation triumphs more than love does in the parent-child relationship. It’s not always a conscious thing, though, sometimes it is. We unknowingly usually start manipulating children at birth by not respecting their bodies and feelings. We force them to do things that their bodies are not yet ready to do such as “tummy time” or propping them up. This is so uncomfortable. We make them stand before they can. We try to quiet their cries by shushing them, distracting them with a toy in front of their faces, and/or leave them to cry-it-out. As they grow, we try to force our own agendas onto them even more. When they are acting their ages or doing something that is developmentally appropriate, we punish them. We spank/hit, give time-outs, and arbitrarily take things away. This is all manipulation. Young children are often accused of trying to manipulate their parents but they are not able to think that far ahead. They’re always in the present. People who tell parents that children manipulate are usually extremely manipulative. This can continue into adulthood. But love should triumph over manipulation. Love should think of the other person and do what is best for them. This does not mean letting people of any age walk all over us! It should mean putting others first as God wants us to do. True love accepts all, puts others first, tries not to hurt people, tries to have empathy, and gently corrects when appropriate. I don’t know who’s quote this is but it is spot on! “Never pay back evil for evil to anyone. Respect what is right in the sight of all men” (Romans 12:17, NASB). “Do not repay evil for evil or reviling for reviling, but on the contrary, bless, for to this you were called, that you may obtain a blessing” (1 Peter 3:9, ESV). I have been going through a great deal of things recently. I was badly hurt by some people. Believe me, I have been tempted to repay evil for evil, but that is not what God wants us to do. I am far from perfect, but I am really doing my best to not repay evil. I have learned a few things as I continue to work through the hurt, anger, Post Traumatic Stress Disorder (PTSD), and anxiety from the recent incidents and they also apply to gentle parenting. 1. Scolding harshly just shuts children and adults down. It’s true. Scolding anyone of any age just makes them feel angry, defensive, small, and helpless. This is especially true when a child has not even done anything wrong. And often harsh scolding is abusive and/or shaming, which is very harmful and hurtful. 2. People of all ages act badly when they feel badly. This is a common idea throughout gentle parenting. Realizing why a child is acting out is so important because he/she is usually feeling badly either physically or emotionally or both. When we stop to see behind the behavior, we see a whole new picture that changes, hopefully, the way we respond to the child. The same is true with adults. Being lashed out at by an adult is harder for me to deal with than if it was a child. Yet, when I am really hurting, I tend to lash out too. But I have learned that trying to be quiet and not lash out is always the best way to go. Easier said than done, though. 3. Mutual respect is key for healthy relationships. From the moment a child is conceived, he/she should be respected. Teaching respect means being respectful by not doing anything to the child that you know will intentionally hurt them such as cry-it-out, saying harsh words to them, manipulating them either physically or emotionally or both, and spanking/hitting them. I often feel like people don’t truly respect me and that’s so hard when I’m trying to be respectful. Again, I am far from perfect, but without mutual respect, one person will be walked all over by the other person. The only way I know to encourage mutual respect is to teach it to children. And just because someone is disabled or different doesn’t mean they don’t deserve the same respect as everyone else! “Be devoted to one another in brotherly love; give preference to one another in honor;” (Romans 12:10, NASB). “and be subject to one another in the fear of Christ” (Ephesians 5:21, NASB). 4. PTSD, anxiety, and sensitivity are real and not weaknesses. Due to being abused throughout my childhood by my dad and a school personal aide, I have all of these things. When people I am close to say “mean” things to me–whether it’s intentional or not-– it triggers my anxiety and PTSD. I’m left debilitated for a while. For children, saying mean, hurtful things will only tear them down and may lead to anxiety and PTSD. Some children, as I was , and still am, are quite sensitive. Unfortunately, being sensitive is often looked down upon and seen as a weakness. Then people try to use this to manipulate and control these children and adults. This is not ok! If everyone was sensitive and empathetic, the world would be a much better place! 5. Despite the common Christian doctrine that we’re born selfish, selfishness is a learned behavior. Children raised with respect, compassion, empathy, and love usually learn to be the same. These children are more competent in social interactions and have a lower rate of anti-social behaviors. People raised with selfishness can learn how not to be, but many remain selfish until the day they die. If we want less selfishness in the world, we need to learn how to be selfless! And we must teach our children how to be selfless by modeling it to them daily. “Do nothing from selfishness or empty conceit, but with humility of mind regard one another as more important than yourselves;” (Philippians 2:3, NASB). 6. We must forgive while not allowing people to walk all over us. Boundaries and limits are a must for children and adults in our life. Children usually cooperate with boundaries and limits when they understand the reason behind them. Adults, however, can be more complicated because they don’t always respect the limits and boundaries. Sometimes all we can do is to put more space between us and them to protect ourselves. I’m still figuring out how to do this. Also when we forgive, we should never throw stuff back in their faces when we are upset with them. That isn’t fair. We don’t forget but we move on if we can with the relationship. Otherwise, it might be better to get out of a toxic relationship. 7. We can’t control others but we can control ourselves. The best thing is to focus on controlling our responses to others. We are the only one that we can control. I’m still working on all of this. If everyone would do their best to work on these things, I truly believe that we’d have healthier relationships. “So whatever you wish that others would do to you, do also to them, for this is the Law and the Prophets” (Matthew 7:12, ESV). We all have different ways of perceiving people and life events. Some of our perceptions are accurate and factual. Others are based on preconceived notions and experiences. Some perceptions are good. Some are quite negative and downright harmful. For example, a while back I watched a show where they researched how different people perceived certain groups of people. I don’t remember all four groups that the majority of people put others into based on how they perceive them. But, one group stood out to me as it hit close to home. Guess who was put into this group. The disabled and the elderly. Had children been a part of this research, I’m sure children also would have been placed into the group as well since the majority tends to perceived children as incompetent. What is sad is I am severely physically disabled due to my cerebral palsy, and yet, I have a Master’s Degree. Every day I must deal with people that perceive me as incompetent. This is why I’m working on getting my first children’s book published to change the negative and inaccurate perceptions of having a disability. The elderly are very competent! They have years of wisdom even if their bodies won’t allow them to physically accomplish that which they once could. And finally, children are extremely competent! They are capable of so much more than we give them credit. Yet, we never appreciate their abilities, but punish them for not being adults. Thankfully, Jesus never liked how society perceived and viewed children. He gives us a high command when it comes to children. “See that you do not despise one of these little ones, for I say to you that their angels in heaven continually see the face of My Father who is in heaven” (Matthew 18:10). I believe that our society as a whole despises children. Children are the least respected people of our society. They are murdered before they are born. They are left to cry alone. They are spanked/hit and publicly shamed. People argue about their “right” to treat them however they want. They are called horrible names. The saddest thing about this is it’s Christians promoting much of this. Yet, Jesus is the One who elevated children’s societal status. The way we view children is how they will behave. And when Christians perceive and view children as “sinners” and “manipulative,” they react and punish what they perceive as “defiance” when the child simply is trying to communicate with us. That’s why Dobson’s (and others like him) view is so dangerous. Not only does he call children horrible, degrading names in his books, but he sets up an adversarial parent-child relationship. Interestingly, God calls children blessings in Psalm 127:3. I view children as little people in need of help, guidance, and discipline (teaching). When the focus is on cooperation instead of control, children cooperate. I’ve worked with some pretty difficult children and was able to get them to cooperate through positive discipline strategies such as modeling, child-proofing, validating feelings, fulfilling the child’s physical and emotional needs, setting realistic limits and boundaries, helping children comply, giving choices, and using natural and logical consequences with children. 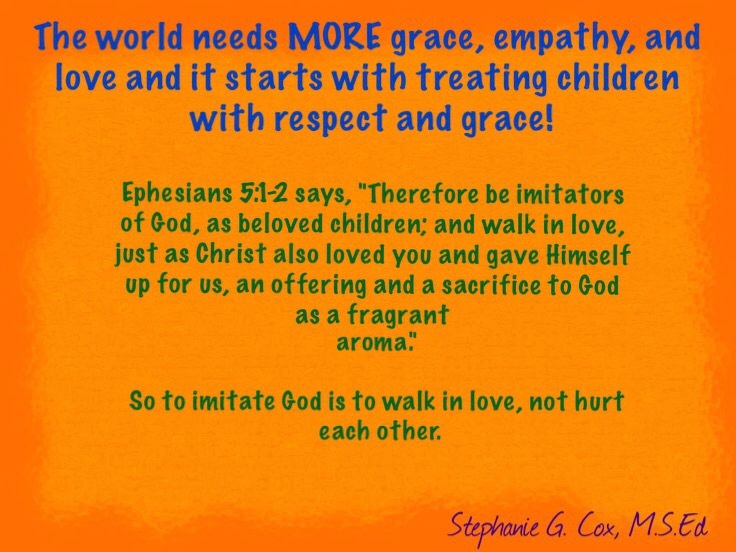 Children do better when we perceive and view them as God does. We need to change our perceptions of all people–young and old, disabled, or any other differences. We need to do our best to base our perception on fact. Smaller humans are competent! Needless to say, I was quite confused and bewildered by their responses. So were a number of other gentle parents. The argument these two moms tried to use was that only people with Autism are allowed to have meltdowns, and everyone else has tantrums and can control themselves. I won’t get into how wrong it is to tell an adult who chose to share about her embarrassing episode in the hopes of reminding everyone that meltdowns happen to even mature adults that she had a “tantrum,” except to say that it is wrong. I will explain that as an early childhood professional, I do have some knowledge of and experience with children with Autism and other sensory issues. These children can, in fact, have very intense and even violent meltdowns that can last for hours. Some of these meltdowns are triggered by sensory overload such as bright lights, too much noise, clothing that is uncomfortable, and having too many people nearby. These meltdowns are totally uncontrollable. What they don’t see is the child having a hard time. The child may be overtired, hungry, thirsty, getting sick, going through major transitions, being triggered by something sensory related, and/or trying to learn how to cope with a major, to him/her, disappointment. The brain goes haywire. He/She loses control. Yes, before a full blown meltdown, people can use coping skills. We can prevent some meltdowns by validating children’s feelings and giving them ways to express themselves as well as meeting needs. But once anyone enters a full blown meltdown, it’s over until the brain allows them to calm down and regain control. The only appropriate response to anyone experiencing a meltdown is compassion and empathy. The reason why I stopped using the term “tantrum” to describe children’s loss of emotional control is the negative connotation of the term. Anyone familiar with me and my work knows that I’m trying very hard to get society to see children in a positive light. To help everyone understand the development of young children. And for Christians to view and treat children as the blessings that they are. The term “meltdown” is more respectful. I don’t care who you are, how old you are, if you have special needs or not, we all have meltdowns. Life gets hard. It will happen. Let’s not judge children or adults. Let’s assume there is always a deeper reason for the meltdown. And let’s not say that one group has “meltdowns” and the other group has “tantrums.” Jesus tells us not to judge others. Besides, Jesus had a few meltdowns Himself in the Temple and in the Garden of Gethsame. May we treat all children and adults with compassion and respect! The Brain Overload During Meltdowns Is REAL! 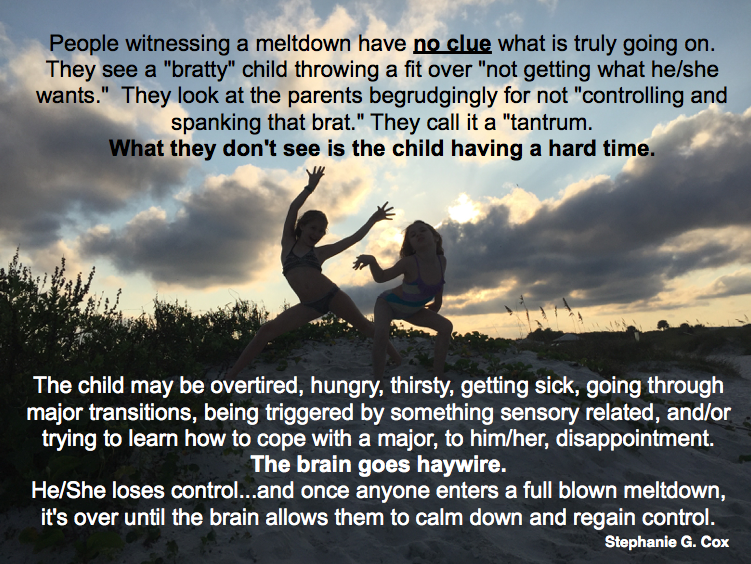 I was recently reminded that the total brain overload and loss of control in children during meltdowns is very real! Why? Because it happened to me! I’m 34 and was recently at a public place with my husband and some other family members. At this place, I was treated disrespectfully. 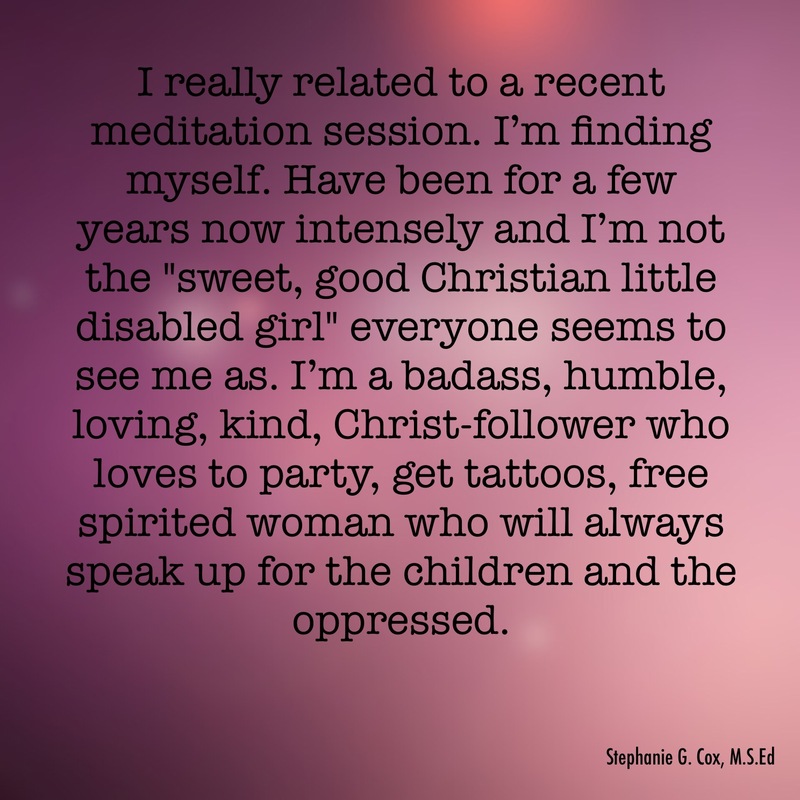 Now, due to my severe cerebral palsy, people often treat me as a child or a person with a mental disability. Usually I take it in stride. I never make a scene in public. But, unfortunately, this time was different. Instead of just brushing this person off and moving on, I lost it and yelled and said things that I regretted as soon as my brain came back under my control. My husband and family were trying to calm me down but my brain was stuck in “fight or flight” mode. Looking back, it was weird but I had truly lost control of my impulse, self-control like young children do. My brain just got stuck. Usually I can talk myself down and use self-control. Not then. After a few minutes as my brain came back to me and God gently convicted me, I realized I’d REALLY blown it. I wanted to disappear or run out. All I could do was look out the window and cry. I couldn’t stop crying. Thankfully, my husband got me out of there, but not before I willingly and on my own accord, apologized to the person I had yelled at. The person graciously accepted my sincere apology. Of course, I prayed and asked God for forgiveness as well. Once we left, I also apologized to my family. I felt awful that I acted so horribly. I still beat myself up over the incident even though weeks have passed since the incident occurred. If you have been reading my blog recently, you are aware that my husband and I are grieving the loss of his mom, to whom I was quite close. It has been a rough few months for us. Looking back on this incident, it is obvious that grief played a major role in my very embarrassing public meltdown. After all, I had never done this before in my life! No, grief is not an excuse for my inappropriate response, but it is a good reason. My point in telling this embarrassing story that I wish I could forget is that I think many adults think that children can control themselves in a full blown meltdown. They believe that children are just trying to manipulate us into giving them their way. I can assure you from my incident that children absolutely can not control themselves during meltdowns. The brain gets overloaded with stress hormones and they truly lose control. Getting angry, yelling, spanking/hitting, shaming, or otherwise punishing them will only keep their brains in this heightened stress state longer. Had my husband and family scolded me or punished me, it would have only escalated things. Instead, they spoke calmly and offered comfort which allowed my brain to get unstuck in order for me to calm down and make things right. My tears became tears of godly sorrow for messing up. 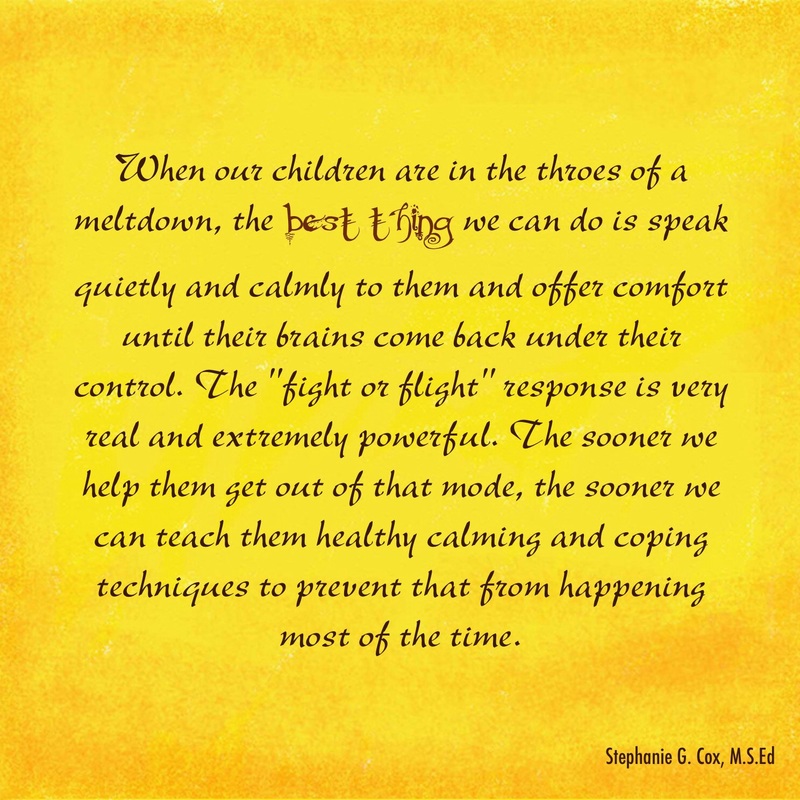 When our children are in the throes of a meltdown, the best thing we can do is speak quietly and calmly to them and offer comfort until their brains come back under their control. The “fight or flight” response is very real and extremely powerful. The sooner we help them get out of that mode, the sooner we can teach them healthy calming and coping techniques to prevent that from happening most of the time as they grow. We can also teach them that there are times throughout life where the stress and pain is too much for them to bear and they may get stuck and make a complete and utter fool of themselves, but God and we will be there to support, forgive, and help them through it. Are Young Children Capable of Manipulating Us? A parent asked me if young children are capable of manipulating us. And if a toddler really thinks that by having a tantrum, he/she can break the parent’s will. This is such a good question. 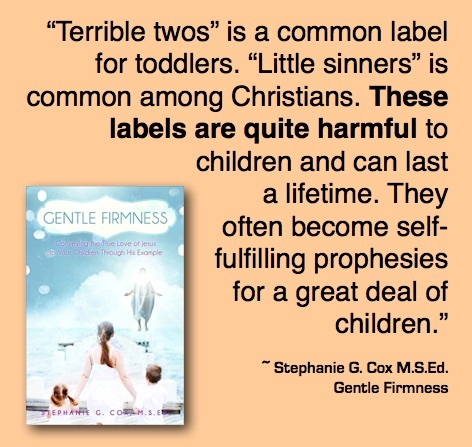 Sadly, many people, especially Christians, think children are very manipulative from birth on. The fact is infants 12 months and younger absolutely do not have the brain capability to manipulate us. As children get older, they can’t actually plan on manipulating us. It just happens in the moment. It takes abstract cognitive ability to scheme against us; something children cannot do until adolescence. No, toddlers are not thinking, “Hmmm…If I throw a fit, Mommy will let me have a cookie.” Rather, it’s when they want a cookie and we say “After supper” that they may get upset and have a meltdown. If we give in to their meltdown, they’ll repeat a meltdown because it worked. But, toddlers are so in the moment that they’re not able to sit and plan a way to get us to do what they want. And yes, they may want extra cuddles, more books read, and another drink of water at bedtime because they’re not quite ready to separate from us even if we co-sleep. Very young children just love being with us. It is very important for us to realize that the way we view children is how they will behave. Many Christians seem to view children as “sinners” and “manipulative.” For example, James Dobson calls children horrible degrading names in his books. This sets up an adversarial parent-child relationship. Yet, God calls children blessings in Psalm 127:3. I view children as little people in need of help, guidance, and discipline (teaching). When the focus is on cooperation instead of control, children cooperate. I’ve worked with some pretty difficult children and was able to get them to cooperate through positive discipline strategies such as modeling, child-proofing, validating feelings, fulfilling the child’s physical and emotional needs, setting realistic limits and boundaries, helping children comply, giving choices, and using natural and logical consequences with children. Children do better when we view them as God does. Young school-aged children may have a bit more planning ability, but they tend to still be in the moment. They might ask Mom over Dad because Mom tends to be more agreeable, but I don’t believe they are capable of planning much in the future to manipulate. I remember when I was in 3rd or 4th grade, I was all ready for school and my mom wheeled me out to the school bus. Only there was a substitute bus driver who treated me like I was mentally disabled. Well, I guess I was in no mood to deal with her that morning because I started crying and told my mom that my stomach hurt. I got to stay home from school that day. It was totally unplanned by me. Therefore, I’d say that it isn’t until between the ages of 10-12 that children actually set out to manipulate, lie, or sneak around unless they are punitively parented. Then, they do whatever it takes to stay out of trouble. Of course, every child is different. Respectful parenting makes it less likely that our children will set out to manipulate us when they are truly capable of doing so.